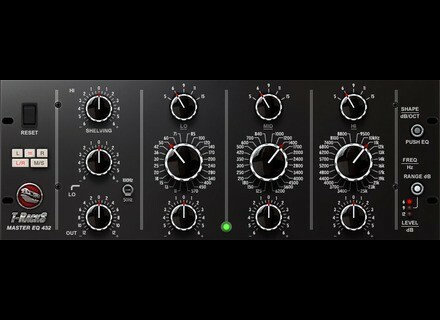 T-Racks Master EQ 432, Software parametric EQ from IK Multimedia in the T-Racks series. The offer is online at the T-RackS Custom Shop and at www.ikmultimedia.com. WaveDNA Liquid Music for Live WaveDNA enhances their Liquid Rythm MIDI creation software for Ableton Live Suite in the new Liquid Music device. Learn the Pro Tools edit modes and tools in this tutorial video When you're editing in Pro Tools, whether it's Pro Tools 12 or an older version, you won't get far if you don't understand how the edit modes and the main editing tools work. In this video we'll explain them to you. 8Dio samples a Mapex drum kit 8Dio called Taylor Larson (Ocean Studios / Periphery) to record a Mapex drum kit with which they created Blackbird, a new library for Kontakt.